The Texas Association of Broadcasters presents the Educator of the Year award to individuals who have significantly contributed to the success of the broadcast industry in Texas and whose personal and professional conduct sets a standard of excellence to be emulated. 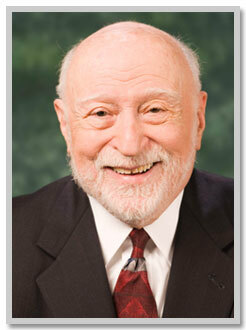 Dr. Ed Glick is a Professor Emeritus at the University of North Texas. Throughout his long career, Glick has always believed that broadcast stations should give opportunities to faculty members to work in stations so they can take their experiences back to the classroom. Glick started his career as a French horn player. He always wanted to be a professional musician and never expected a career as a broadcast educator. After serving in Europe in World War II, Glick returned home to Boston and earned his Bachelor’s degree in Music at Boston University, later earning a Master’s in Music Literature from the University of Michigan. His experience in music led him to positions in audio engineering, recording and radio broadcasting. Because of his background in music and recording he was hired at WGBH-TV Boston as the sound production manager for the station’s film department. After gaining experience in broadcast production, Glick started teaching radio and television courses first at the University of Florida, and then at Ohio University, Southern Methodist University and Wayne State University (Detroit). Upon completing his Ph.D. at the University of Michigan in Speech Communication (Radio-Television), Glick came to Texas as director of the Division of Radio/Television/Film at North Texas State University (now the University of North Texas). He initiated a major overhaul of the division’s curriculum, which helped the division (later the Department of Radio, Television and Film) to grow and earn its current reputation as one of the highest rated programs of its kind in the United States. When he came to UNT, there were two faculty members and 100 students. He served as chair for the department for seven years and despite the lack of funds, equipment and facilities, he oversaw the development of the program. He also served as director of radio in the early stages of the university’s radio station, KNTU-FM. Today, KNTU-FM is a 100,000 watt radio station that serves the entire Dallas-Fort Worth market. Even while teaching future broadcasters, Glick also worked in the industry to keep current, hosting and producing 110 public affairs programs in the series “Alternatives” for KXAS-TV Dallas-Fort Worth. He also hosted and produced two seasons of a similar series of public affairs shows for WFAA-TV Dallas-Fort Worth. The Council for Advancement and Support of Education recognized one of Glick’s shows about suicide for the prestigious Achievement Award in the category of Television Programs and Announcements. To continue to keep current on the latest production techniques for his students, he served faculty internships at Tele-Image, Inc., one of Dallas’ premiere production/post-production houses, and WFAA-TV, working in many production positions. Glick also produced a half-hour radio special distributed to radio stations across Texas featuring NTSU’s School of Music chorale groups. The Broadcast Education Association elected him as a member of its Board of Directors for two consecutive two-year terms. He was also awarded a first place in the “History Papers” competition by the Broadcast Education Association, for his article “A New Look at Estes v. Texas, 1987” which corrected many misconceptions about the landmark case which led to the prohibition of cameras in the courtroom for more than two decades. Ed Glick’s experience and research informed his teaching and inspired his students. He was awarded “Outstanding faculty member, Division of Radio/Television/Film” at NTSU/UNT five times, named “Outstanding faculty member” by the NTSU International Student Association, and was honored as “Top Prof” three times by the NTSU chapter of Mortar Board, National Honor Society. Having influenced several generations of broadcasters, educators, and media professionals, he is retired from teaching, but still available to former students for advice, support, and kind words.